Attraction to someone can tear you apart, metaphorically, but if you’re the Martian moon Phobos, attraction can tear you apart – literally. Back on Earth, we generally think of tidal forces as their effects on seas and oceans, but elsewhere in the solar systems, the effects can be dramatically different: on the frozen Europa for example, tidal forces have created a liquid ocean beneath the icy surface, and on Phobos, the largest of the two Martian moons, tidal forces are slowly ripping it apart. NASA first realized this was happening when they noticed distinctive features, initially thought to be fracture lines stemming from the lunar impact that created the Stickney crater – the result of a gargantuan collision that almost destroyed the moon. But that didn’t really fit, and now, it seems more likely that they are the result of material being ejected from Mars. In a way, they are like bodily stretch marks. “We think that Phobos has already started to fail, and the first sign of this failure is the production of these grooves,” said Terry Hurford of NASA’s Goddard Space Flight Centre in Greenbelt, Maryland. A new model, presented at the Division of Planetary Sciences of the American Astronomical Society’s annual meeting suggests that the grooves are indeed the result of tidal forces. 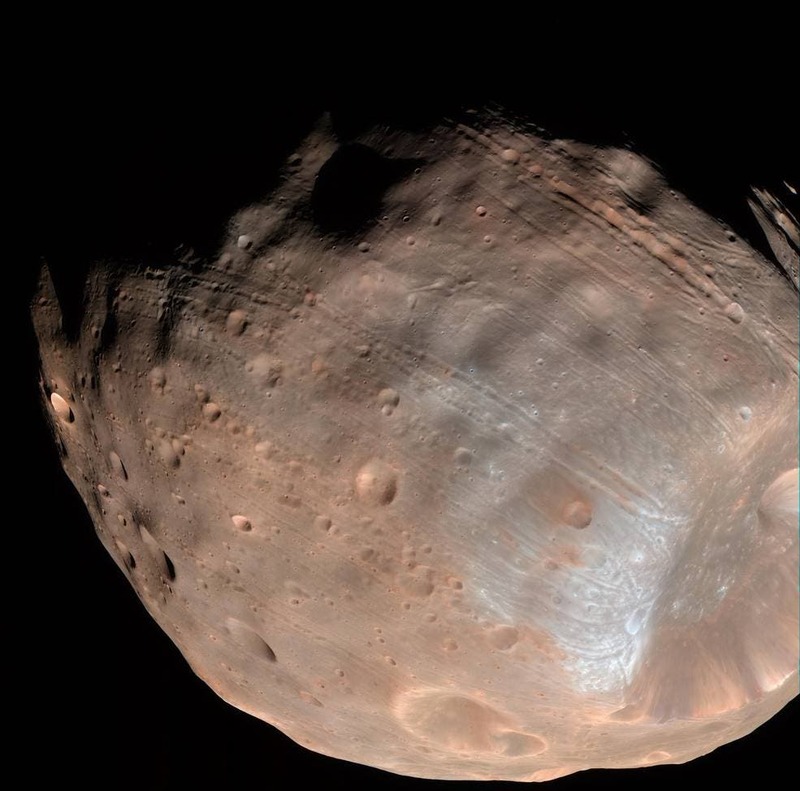 If this is true, then Phobos is not as dense as initially thought, but rather may have a rubble pile at its core, only surrounded by a powdery surface. Mars isn’t one of the heavier objects in the solar system, but the effect of its gravity is so powerful because of the proximity. Orbiting a mere 3,700 miles (6,000 kilometers) above the surface of Mars, Phobos is closer to its planet than any other moon in the solar system. Phobos won’t be breaking up any time soon, it will take 30 to 50 million years; but while that may not sound like an alarming sentence, at a cosmic scale, it’s really a short period. If the models are somehow confirmed, then this could also provide information about other planet-moon relationships in the solar system.